Home » any given sunday , ballon d'or , Cristiano Ronaldo , England , euro 2004 , Fifa , Manchester United , messi , Portugal , Real Madrid , wink , world cup 2006 » Any Given Sunday: Why is Cristiano Ronaldo so Hated? Any Given Sunday: Why is Cristiano Ronaldo so Hated? Why so many people hate Cristiano Ronaldo? That is the million dollar question that I have been asking myself for the last couple of weeks. If there was a an online voting for the most hated player in world football, Cristiano Ronaldo’s name would be on top of that list ahead of Zuniga and Suarez. Why? What has he done that has unleashed this plague of hate of biblical proportions? He never bit anyone, he has never injured a player, made a baby or children cry, he has never killed a unicorn, and yet the best player in the world is the most hated footballer of modern day and even perhaps of all time. I believe I know why and I see two key moments in his career as the trigger points for this hate. I compare Ronaldo’s off the field persona with David Beckham. They are two good looking guys that use their image off the field to sell merchandise, sign big contracts with high end retailers, married to high profile woman and pretty much a public figure in every aspect of the word. Now, this alone was never enough for people to hate Beckham, and neither was his move from Manchester United. I believe the main difference between the two, is that Cristiano Ronaldo is not English. If he was English the move away from Manchester would not had been as controversy and scrutinized by the English media as this one was. 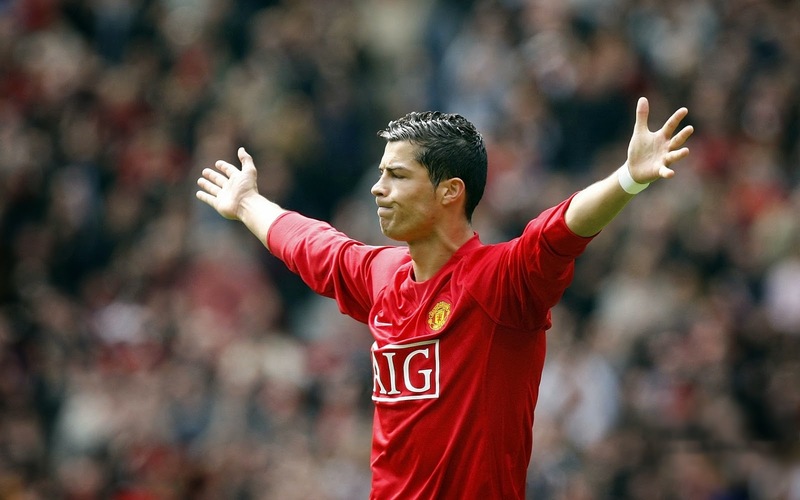 The British media influences half of the footballing world, and their treatment of Ronaldo when he played at United and when he forced the transfer was as negative as they come. Almost to a point of how dare he to leave United for Real Madrid, does he think he is better than us? That sort of treatment was never given to Michael Owen or even David Beckham. Ronaldo is Portuguese and I think that adds to it, but even if he was Belgium the media would had still jump on him, but I believe the fact that he is Portuguese contributed even more to the dislike they had for him, fueled by many battles between both countries national teams. The British media has campaign against Ronaldo, and that campaign has permeated in the fabric of the world footballing society. People tend to believe in anything they hear, so if what half the world listens to is British media talking about football, then the preconceptions and stigmas associated with him will become true. A case where perception has become reality, and not the starting point but a factor was his move from United. The hate for Ronaldo and anything Portuguese started at a certain point in 2004 during the Euro, with Portugal eliminating England in penalties in a displayed considered by many (British media) arrogant, not only of Ronaldo but of the team in general. 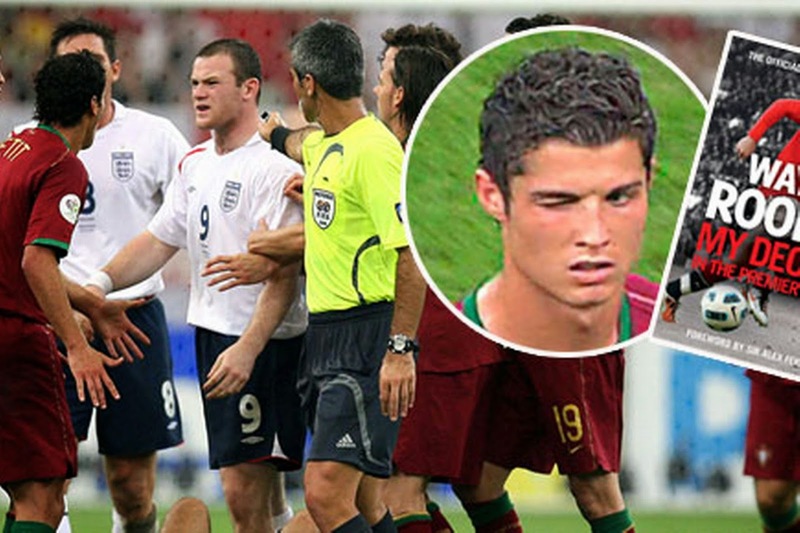 This feeling only was made worse in 2006 World Cup, when Cristiano Ronaldo was vilified by the media for being the cause of Wayne Rooney’s red card in the matchup between both countries. That to the English fans and British media was worse than Suarez scoring 2 goals to eliminate England from the group stage at this year’s World Cup. Suarez could have bitten the Queen at halftime and it would not cause him the same hate and animosity that the wink did. To me it seemed that the English fans were outraged with the wink, like saying, how could he had done that to his team mate at United. Exactly, at United, but on the field that they the countries were playing not the clubs and one will do or say anything he can to gain an edge or advantage. To me that was nothing more than sour grapes from fans, media and a nation, that considered that they are superior to Portugal, and had been eliminated in two consecutive tournaments by Portugal, led by a kid that made a living playing in their league and earning their money. The English world saw that as a slap in the face, like someone who comes over for dinner and not even brings desert. To me this is where it all started. From that day on the hate for Cristiano Ronaldo and Portugal to a larger extent begun, and the campaign against the man and the player took global proportions and it has become part of almost the world football DNA. The English fans and media have been forgiving to Suarez for biting opponents, to John Terry for sleeping with his team mates’ wife and hurling racist abuse to another player, for Cantona for kicking a fan during a game, David Moyes for coaching United into the middle of the table and yet they are unable to forgive Cristiano Ronaldo for a wink. How petty is that? Cristiano Ronaldo is judged to a much higher standard that anyone else in football and I don’t think it is fair or right. Messi, the sweetheart of everyone that watches football has unpaid taxes in Spain. He and his dad owe money to Spanish government from not filling their taxes appropriately. Nobody in the media in England or elsewhere has written any disparaging words in regards to Messi and his fraudulent ways, if Ronaldo had one unpaid parking ticket, there would be picket lines outside of FIFA headquarters asking for him to give the Ballon d’Or back. He gets a hair cut in honor of a child who is having brain surgery, paid in full by him, and people jump on him like he was getting a haircut to draw attention to himself. The campaign launched by English fans and the media in England has worked. He has officially become the most hated footballer of all time. A super villain, with incredible good lucks, hot girlfriend and amazing endorsement deals. Haters will hate and he will continue to get paid.